On March 25, 1911, fire engulfed at the Triangle Shirtwaist Factory near Washington Square Park, killing 146 garment workers, mostly young Jewish and Italian immigrant women, in the space of 15 minutes. Their deaths energized labor struggles for better working conditions, safety on the job, decent wages, and the right to unionize. The memory and the significance of the fire also reverberated nationally and internationally. By raising awareness about the tragedy, the political conditions that fueled it, and the activism ignited by it, art as activism continues to make connections between the past and current abuses of workers globally who labor under dangerous and deadly conditions. This exhibit and event convenes talented and committed artists who will share their potent activism through a panoply of forms—poetry (Bracha Nechama Bomze), fiber arts (Pamela Koehler; Robin Berson), photography (Taslima Akhter), street art (Ruth Sergel), lyrics and music (Annie Lanzillotto and Rose Imperato) and dramatic performances (Lulu Lolo) that keep the memory of the fire alive, serving as an evocative means to raise consciousness about workers’ rights, and engaging people in the struggle for social justice. 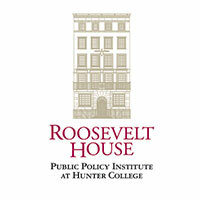 The event is part of the PhenomenalWomen@RH Series, and is co-sponsored by the Roosevelt House Public Policy Institute, Hunter’s Women and Gender Studies Department, and the Human Rights and Public Policy programs at Roosevelt House.